now it will be geometric! 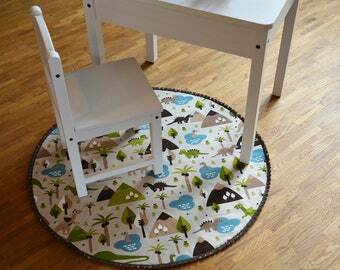 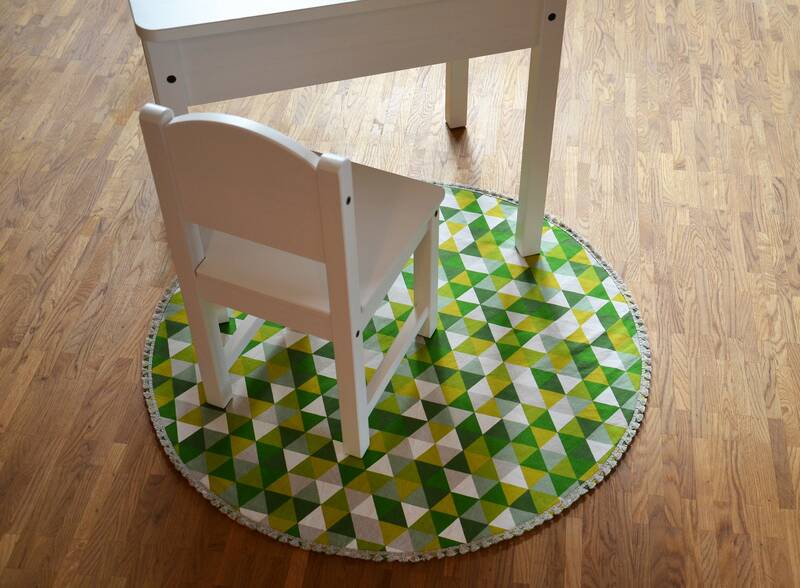 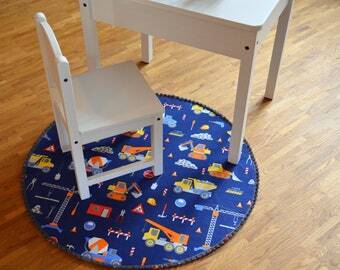 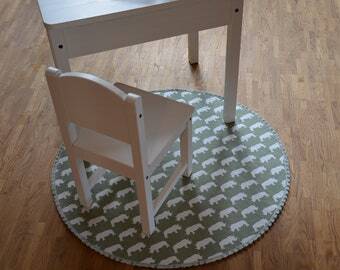 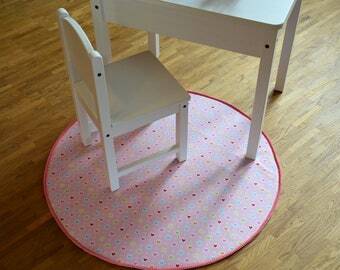 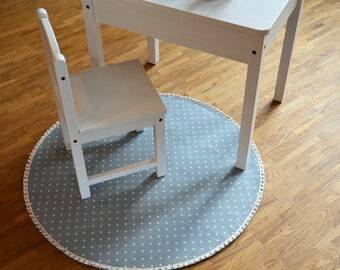 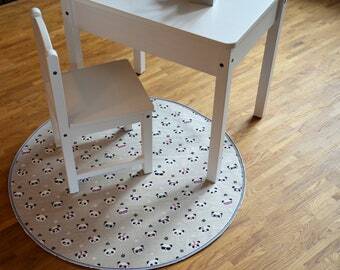 Beautiful children's carpet with green and beige triangles and fringe border around. 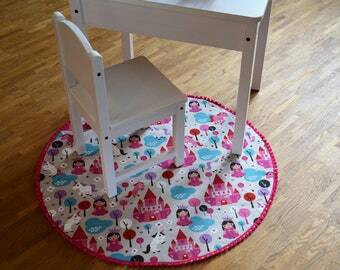 The back consists of a non-slip fleece sewn firmly to the outer fabric.